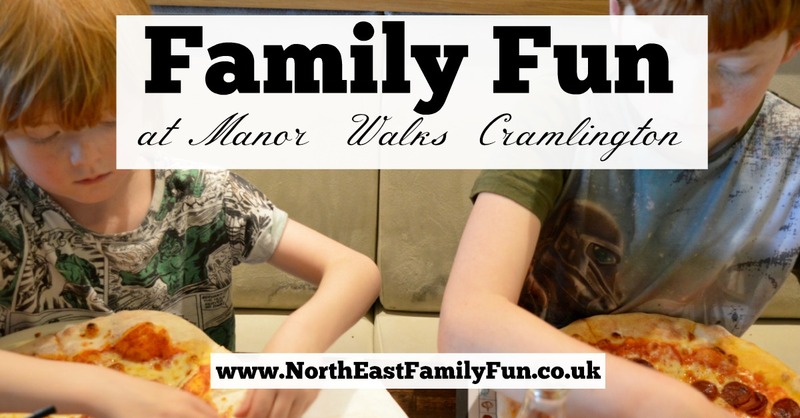 We have kicked off the school holidays with a jam-packed day of family fun at Manor Walks Cramlington. 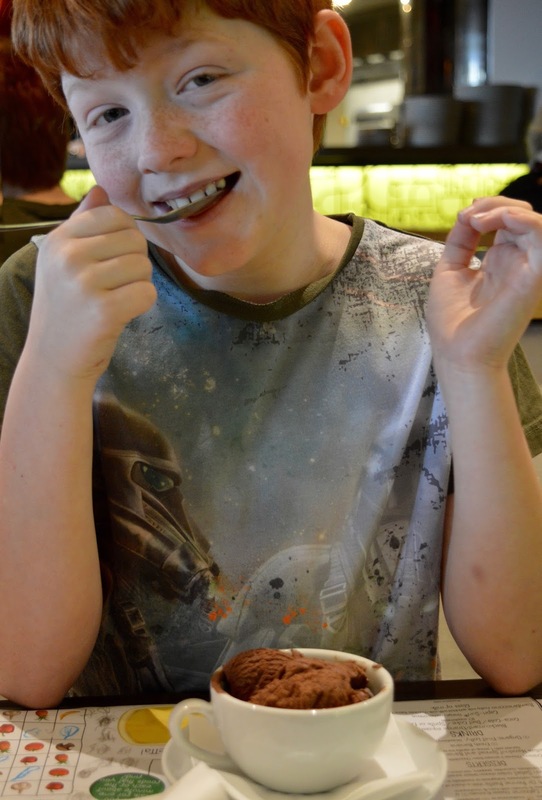 There is so much more to the shopping centre than just a few shops and I am really pleased that the centre has so much more to offer kids these days compared to when I used to visit with my own parents in the 80s and early 90s. Back then I used to get excited at the prospect of a trip to Safeway cafe for a cup of juice or if I was lucky, some chips to eat from Greggs (they should totally bring them back). Manor Walks has certainly been transformed in the last few decades and it's definitely for the better. I am really ashamed to say that despite being on our doorstep, I had yet to venture inside Clip 'n' Climb. I'm not really sure why - perhaps we've been too busy? We booked into the first session of the day and I was really impressed. 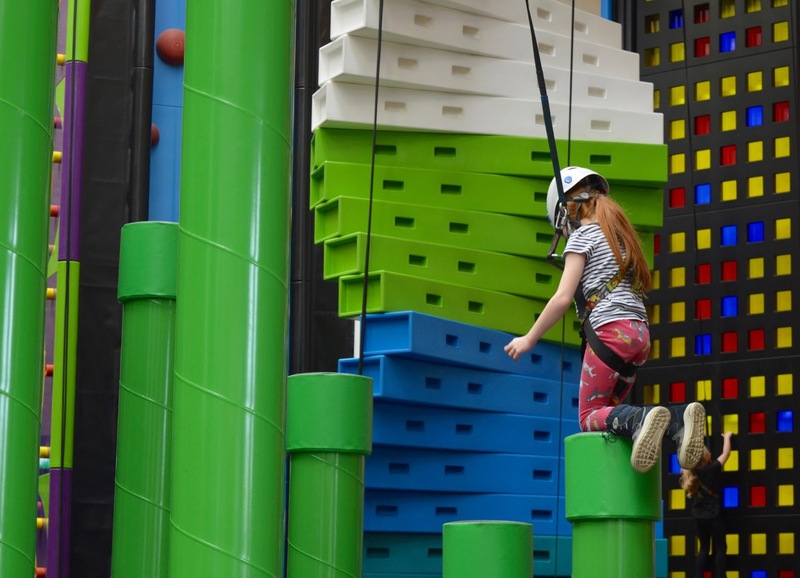 There is a parent seating area where you can grab a coffee while the kids attempt various climbing walls. Harry and Heidi didn't need much parental supervision and I can definitely see myself bringing my laptop in future school holidays and getting some work done while they have fun. A few groups of mums sat around various tables and were obviously having a school holiday catch up whilst their kids were entertained. 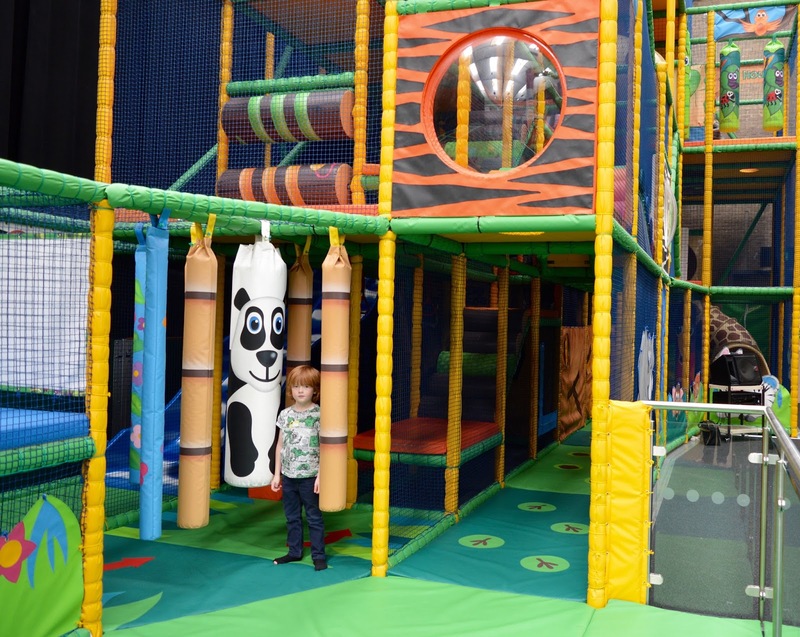 If your children are too old for soft play, it's a perfect place to meet up with your mum friends. 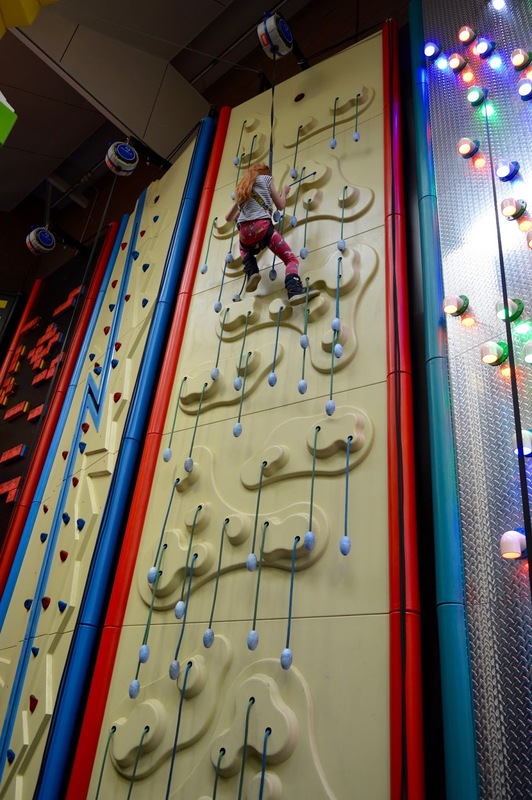 Clip 'n Climb costs £8 per child (under 8) and £10 per child aged 8-17 years for a 1 hour session. It's best to pre-book sessions as we saw some children being turned away as sessions were fully booked. There is a thorough safety briefing beforehand and there are trained staff on hand to help throughout. 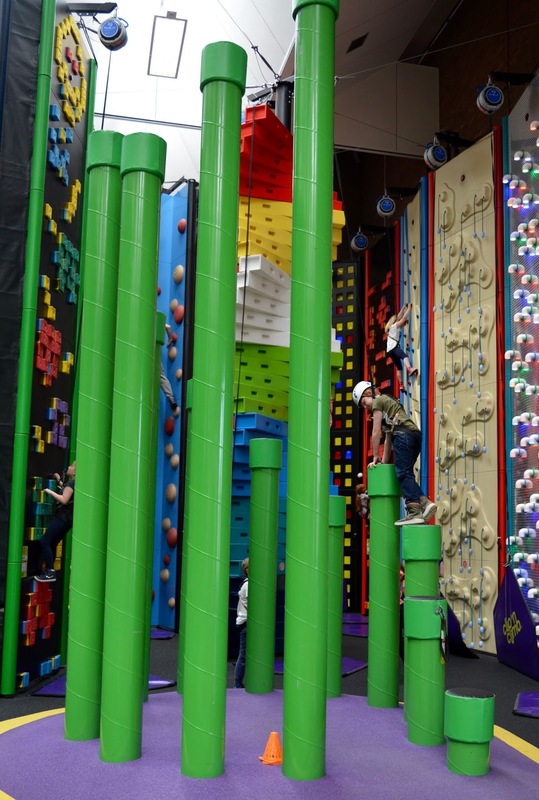 There are around 15 different walls to climb up, each with their own challenge including a buzzer wall where you can challenge another climber and race to the top, or as Heidi did, try and beat your own time. Jack isn't as brave as his older brother and sister and wasn't keen on giving Clip 'n Climb a shot. Instead, he wanted to try the adjoining soft play which is suitable for children up to aged 12. It's nice having the two facilities side by side and the perfect option for families like us who have children of different ages to entertain. Softplay sessions cost £4 each which I think is pretty good value. Jack (aged 6) loved it and we hardly saw him during the whole session. I feel like I take Concordia a little for granted, Last week we had a lovely time when we took the kids swimming as an after school treat. We teamed it with McDonalds and our whole Friday night cost us just over £30 which for fun and food, is not bad at all. As well as the swimming pool, there is also a bowling alley, roller disco and a fantastic spa to relax in - I had a sneak peek and trust me when I say there is no way you would think a spa of this calibre would be hiding in a leisure centre in Cramlington! 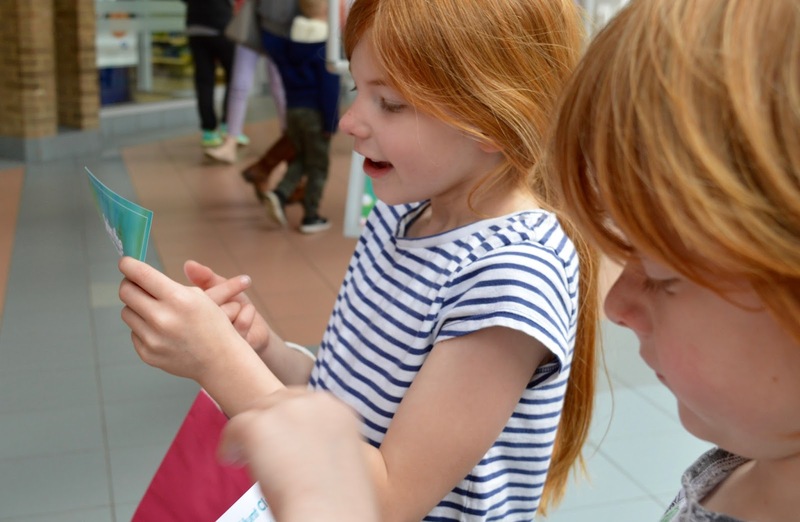 This Easter between 10th-15th April, stop by the Easter stand between 10am and 2pm and collect your FREE Easter Egg Hunt trail and bag from the friendly staff. There are 8 clues to solve around the shopping centre and prizes to be collected. Prizes are available on a first come, first served basis and some had ran out by 12noon on the day of our visit so we would highly recommend starting the trail at 10am. 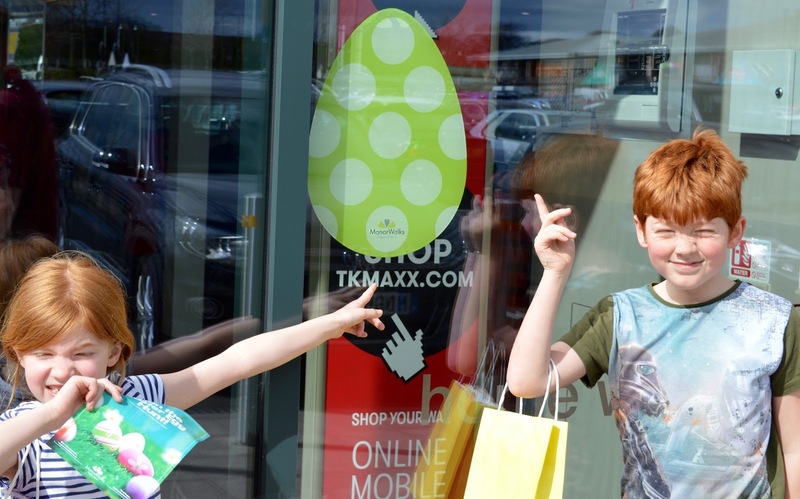 The idea is, you use your trail sheet to find a participating store, then find the egg sticker in the shop window. Once you've found it, head inside and a member of staff at the till point will reward your efforts with various treats which you can collect in your trail bag. The fun doesn't stop at an egg hunt, there is an egg painting competition running on 10th, 14th and 15th April and an Easter Petting Zoo will be visiting the centre on 17th April between 11am - 3pm. There'll be a chance to meet some furry friends and amphibians too. 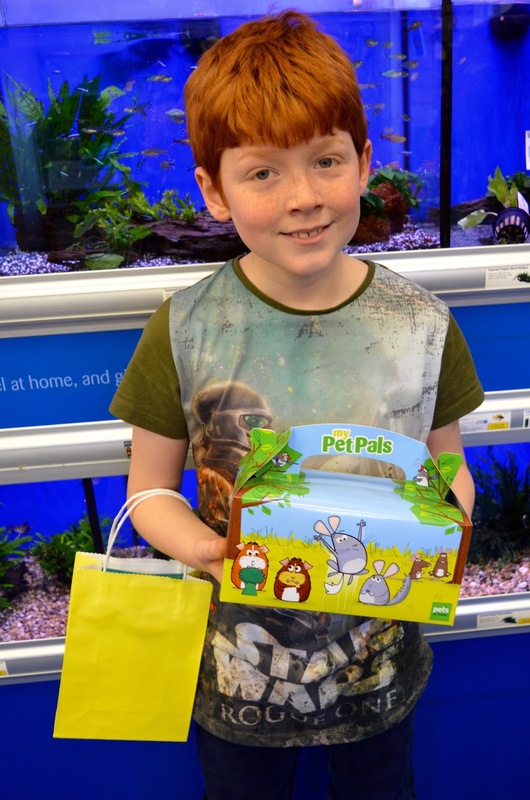 Finally, Pets at Home are also running FREE Pet Pals workshops over the Easter holidays. Find out more and book here. You can keep up to date with future events by subscribing to Manor Walks events on Facebook here or signing up to the Manor Walks newsletter here. As mentioned in my opening paragraph, Manor Walks has certainly come a long way from the days when Safeway Cafe and Greggs would be the only dining options available to families. 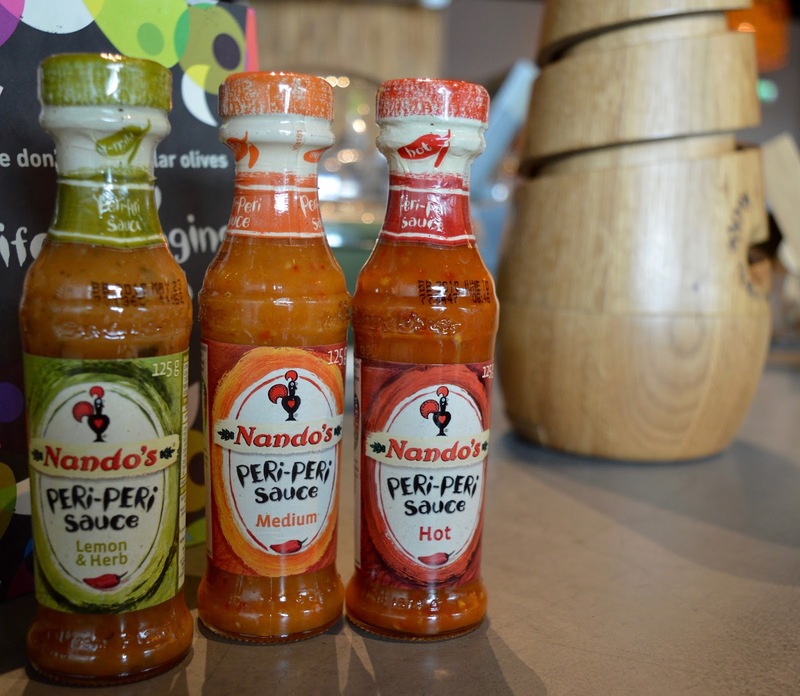 Now we are blessed with a range of eateries including Frankie and Benny's, Nandos and Hungry Horse. 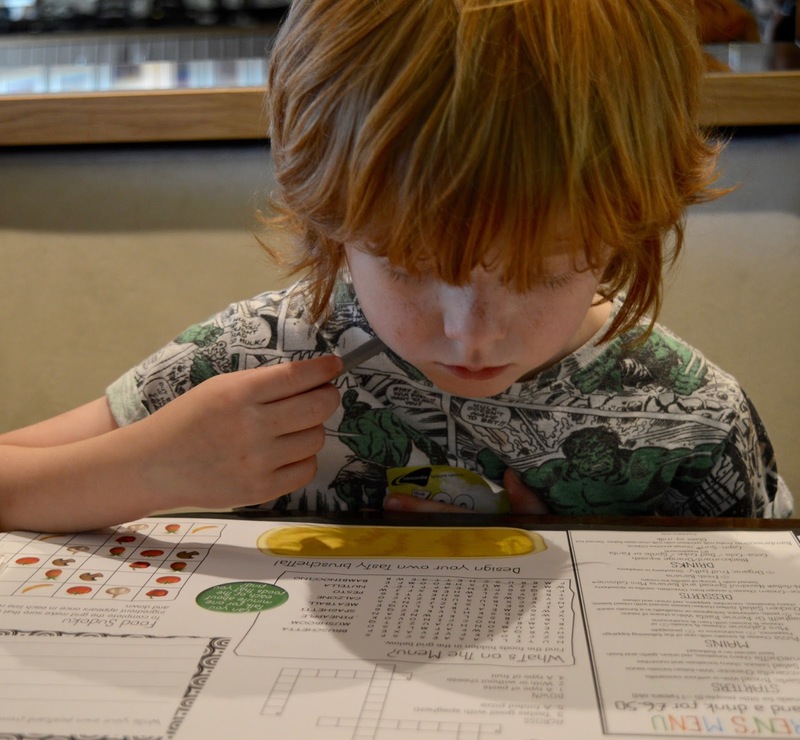 We paid Prezzo a visit during our latest trip and although service was slow (I think they'd forgotten it was half term as there was only one member of staff serving around 15 tables), we enjoyed a lovely leisurely lunch and Prezzo's children's menu always offers fantastic value from £3.99 for 3 courses and a drink. 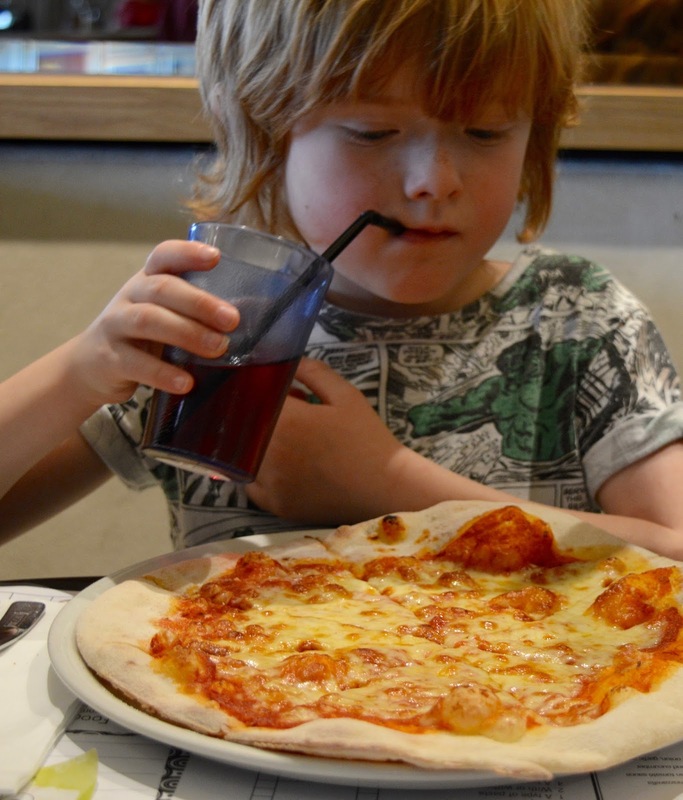 From 14th - 17th April, kids eat for just £1. Bargain! 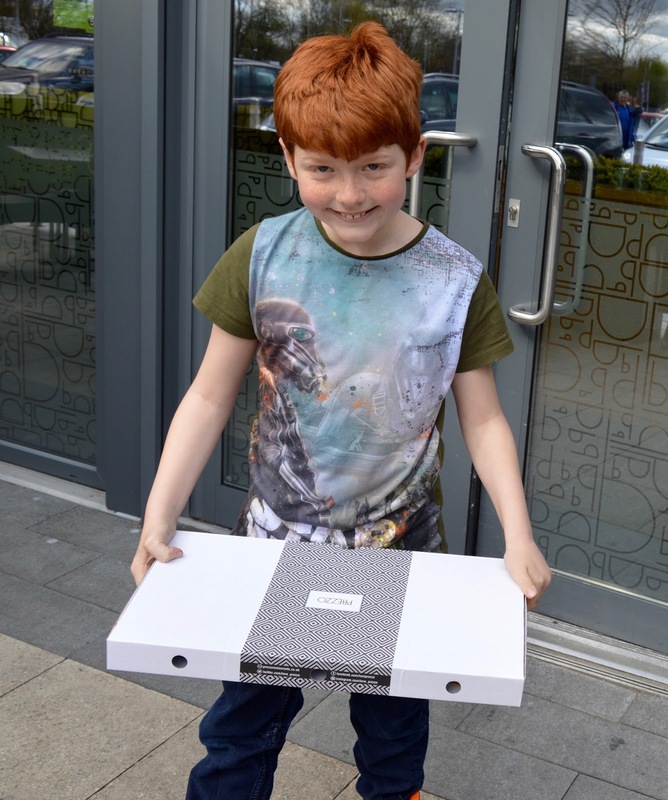 We were impressed with how friendly our server was, despite being busy he still found time to have a joke and a giggle with the kids. Steve and I shared the Italian sharing board to start. 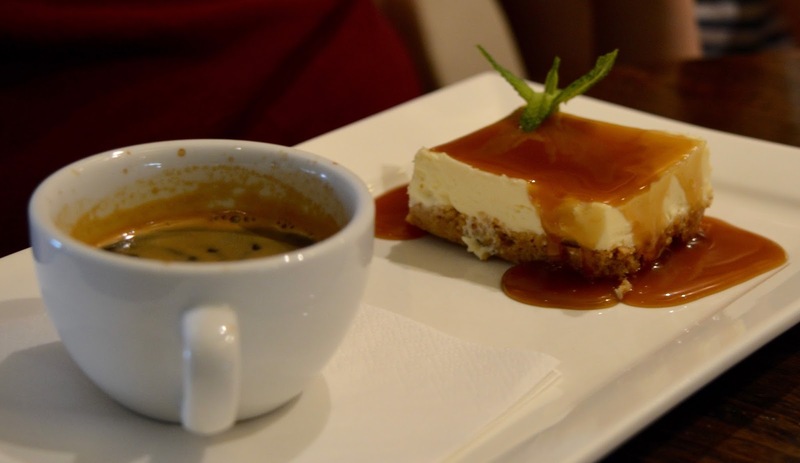 At £19.99 it definitely wasn't the best value dish on the menu but enjoyable all the same. The stand out dish was the fried mozzarella with tomato chutney. 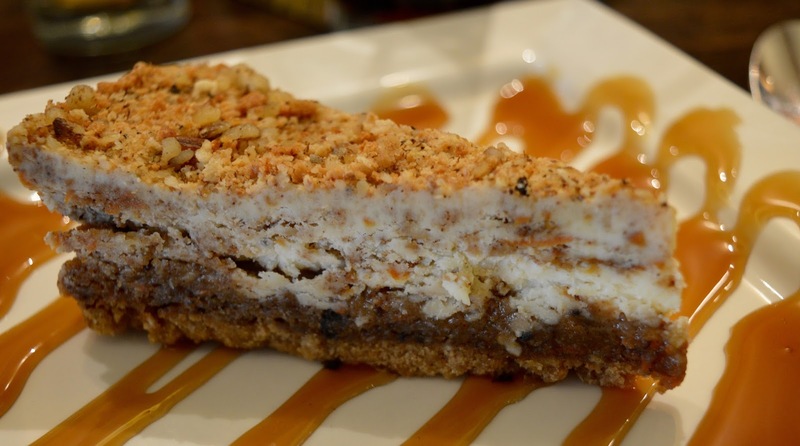 I'll be ordering this again on my next visit. 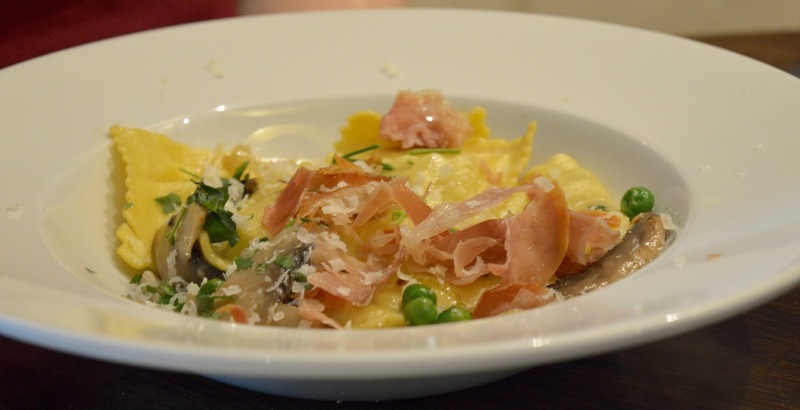 Our pasta was cooked well - still a tiny bit al dente which is perfect for us. 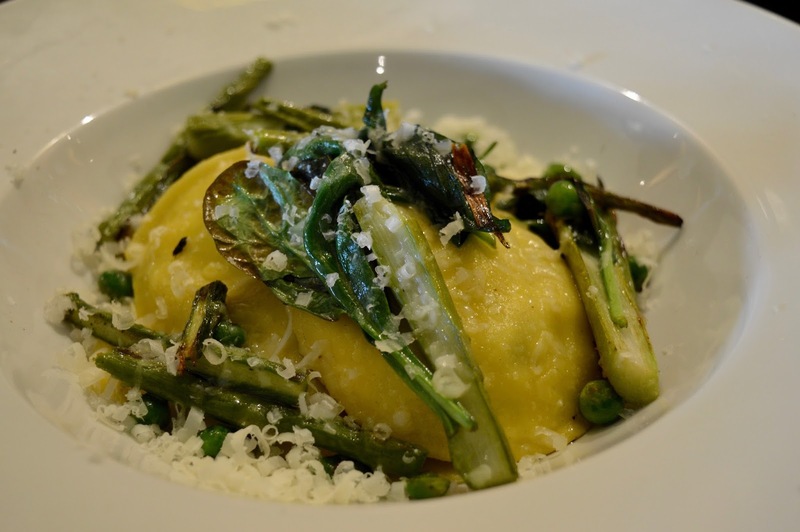 The asparagus was delicious too. All in all, a nice spot for lunch with the kids. Harry and Jack couldn't finish all of their pizza. I guess that's what happens when you spend your morning eating chocolate eggs! The staff boxed their leftovers up for supper and we had two very happy boys. 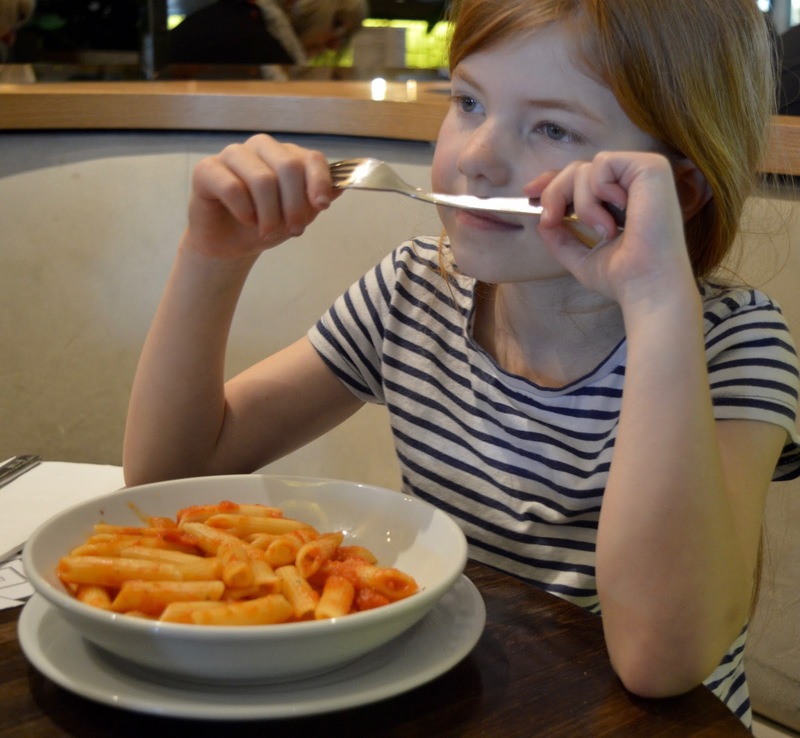 It's worth signing up to Prezzo's offers here. They often send you discounts and on my last birthday, I received a free bottle of Prosecco. We love having a cinema in our hometown and are definitely in the 'use it or lose it' camp. Watching a movie together is one of our favourite things to do and this month we've already watched Kong : Skull Island (Steve is posting a review over on Big Stevie Cool this Thursday) and Beauty and the Beast. Power Rangers is next and my mam's taking the kids to see Moana as part of Vue's Mini Mornings where tickets are just £2.50 each. 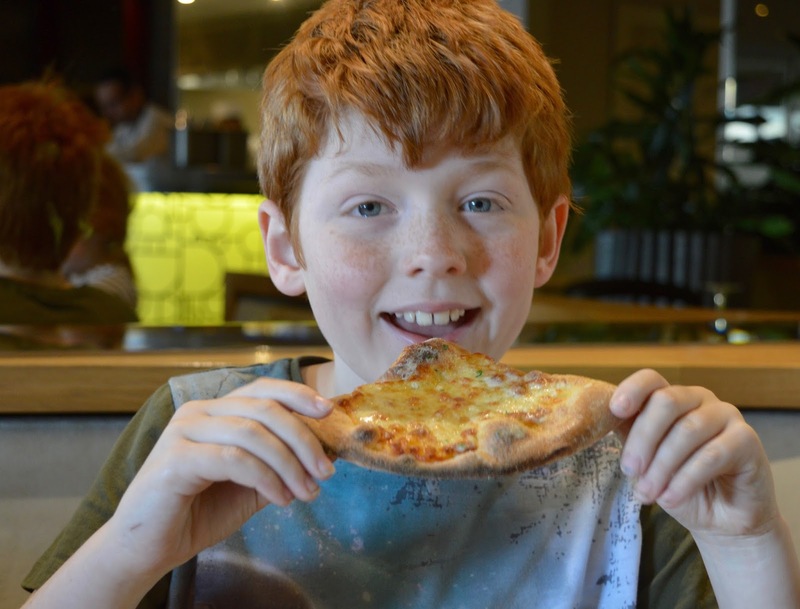 Going to the cinema as a family isn't the cheapest of hobbies but we are huge movie geeks in our house and for us, the cost is 100% worth it. 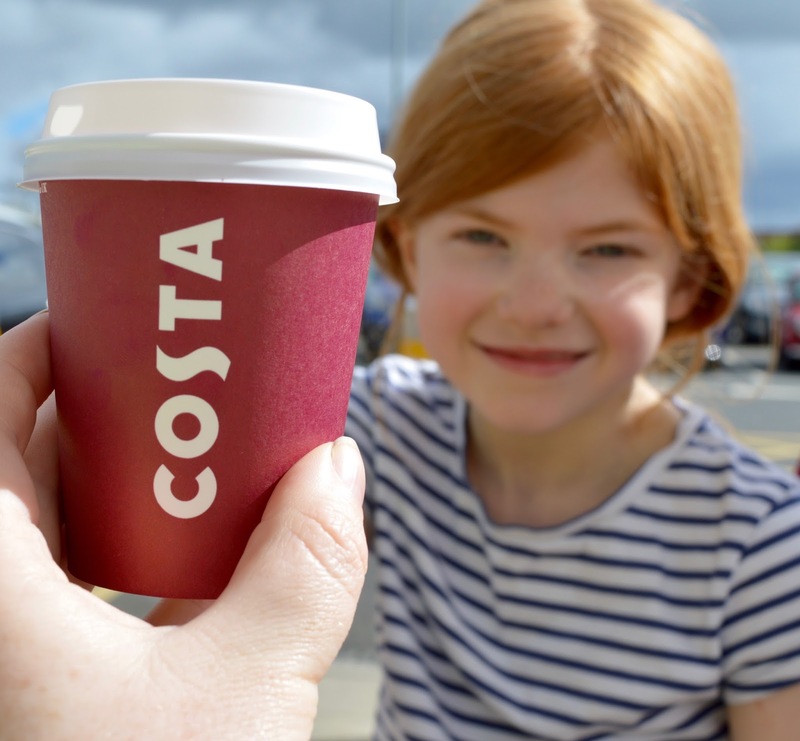 We normally take our own snacks (Poundland is your friend) and book a family ticket where adults pay the same price as the kids - even during peak times. As you know, I am obsessed about planning our school holiday activities in advance. 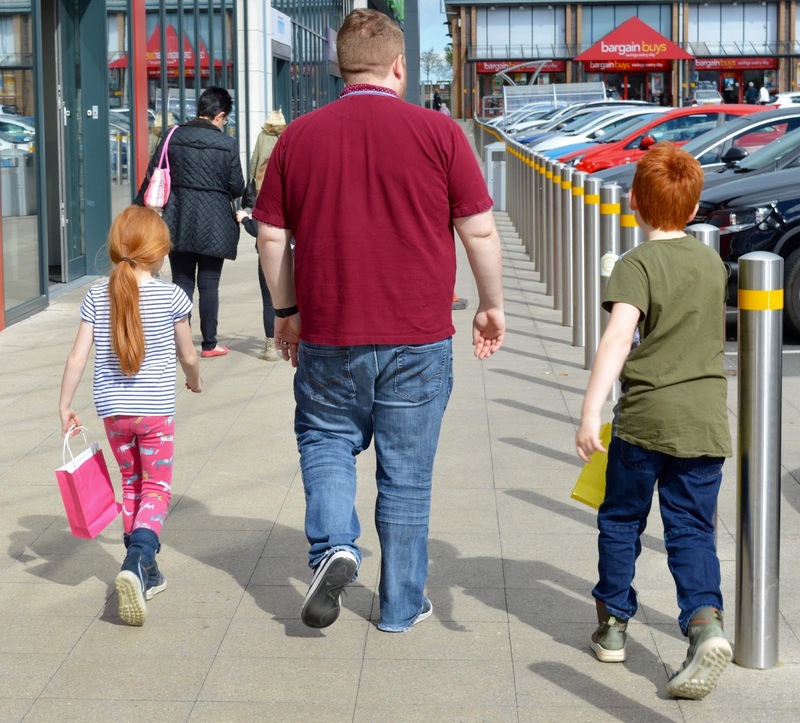 A few years ago there is no way I would be recommending you plan a day at a shopping centre but I really think in the last few years that shopping centres have really upped their game and Manor Walks is no different. 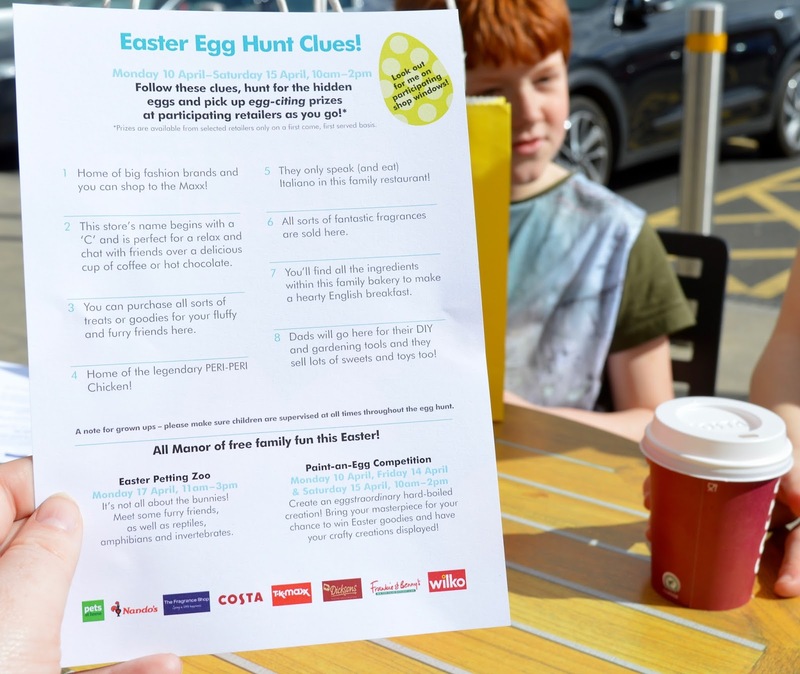 We spent a fun-filled day at Manor Walks this Easter and it wasn't the first or the last time we'll visit the centre to take part in some family fun. I can't write about Manor Walks without mentioning the parking - many people who live in Cramlington are frustrated by the 4 hour limit. Personally, I can see why Manor Walks do this. If it was a free for all, there wouldn't be enough spaces for those who need it. We spent 9 hours at Manor Walks on Monday and parked our car in Middle Farm Car Park next to the CVYP. If we know we are going to be longer than 4 hours, we always manage to get a space here, at nearby Smithy Square or we walk or use public transport which isn't the end of the world. 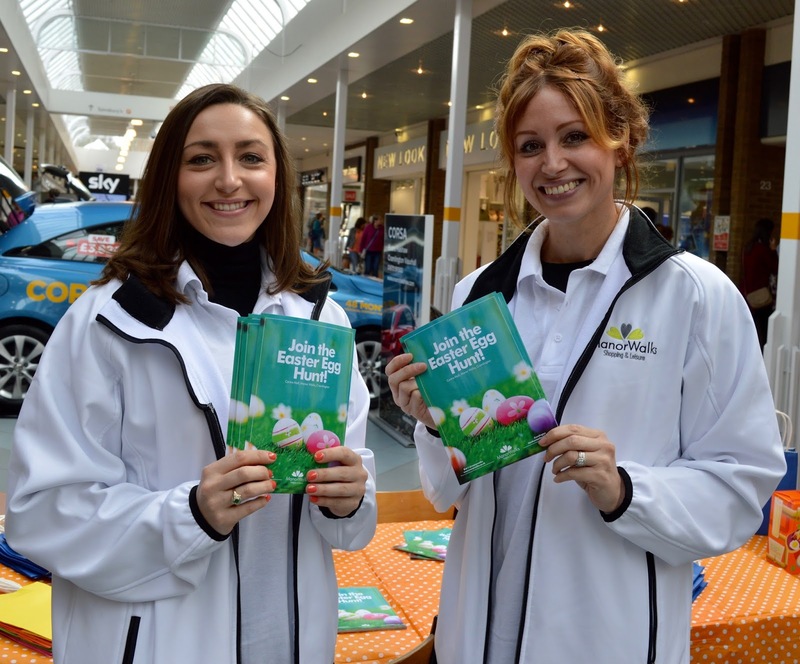 Let me know if you have joined in with the FREE egg hunt at Manor Walks this Easter and if you have a favourite prize. Greggs used to do chips?!!! OMG I did not know this! Although saying this Greggs is a very new thing down south, we used to have "Baker's Oven" instead! I'm yet to really explore Manor Walks properly, we've only been once to go bowling - I need to have a proper look and investigate what shops are there! Looks like you had a really fun day! They did indeed. They had a proper old fashioned cafe in their Cramlington branch back in the 80s. What a great day out. 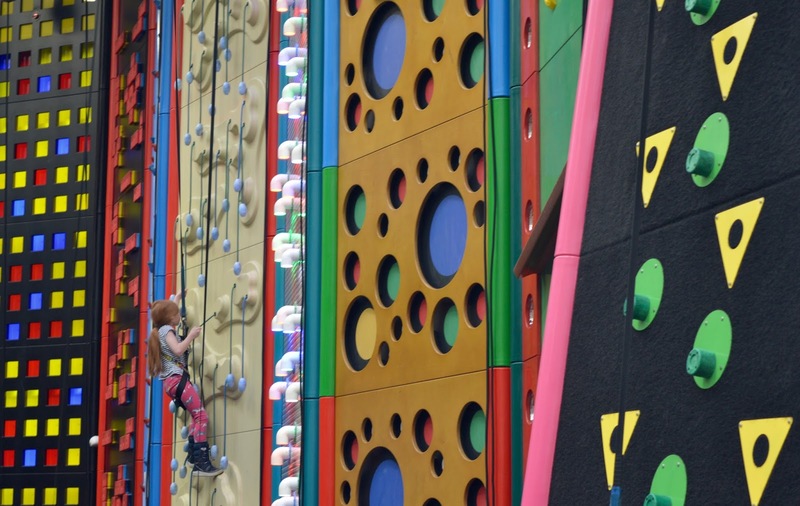 My kids would love the climbing wall and what a great choice of things to do. Totally agree that Manor Walks has transformed itself recently. We used to go only on a needs must basis, but now we're there at least every 2 weeks. With the addition of the Cinema, Restaurants and a huge range of shops. 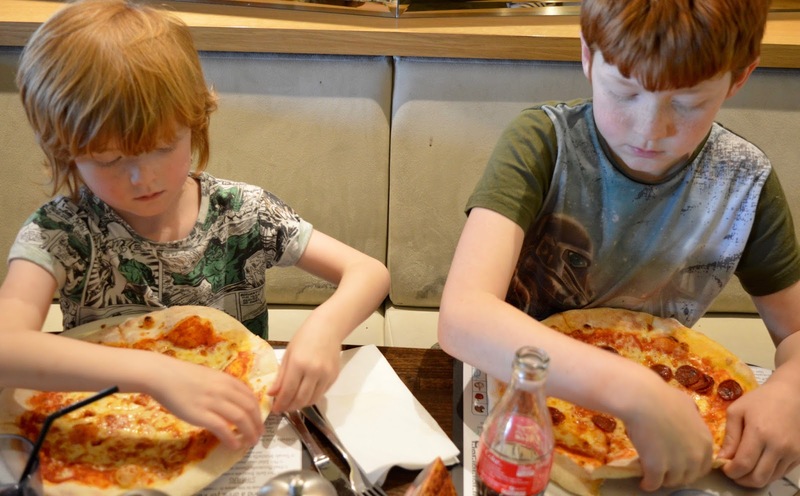 Our kids love Clip n Climb and the Vue cinema has become our most visited cinema choice. Did Harry get a new pet? He didn't - the kids received that little box full of treats as part of the Easter Egg hunt. We are thinking about buying a hamster for Heidi's birthday though - I'm still undecided! Haha! I couldn't resist telling the centre manager the tale of your failed climb! Ooh Sounds Fab Samantha, Defo up for the Easter Egg hunt and have just booked the kids in for the Furry Friends pet session at Pets at Home on tues. May be popping along to see the new Peppa Pig movie too! !